The increasing demise of what Amanda Spielman refers to as an holistic approach to education, which broadens pupils’ talents and interests, enriches their thinking and prepares them for success in the 21st century, is the premise upon which, as part of the Cognita Family of Schools, Long Close Education is built. Delivering academic excellence, developing character and nurturing a global perspective are our clear strategic aims as we work together to drive the learning experience forward at Long Close. Academic standards are important and our children achieve well, but we also believe it is equally important to offer our children a rich educational experience which prepares them for a world that requires courage and flexibility. Mrs Spielman notes that there is nothing ‘ignoble about making sure young people leave school with a set of excellent exam results’ but continued by citing examples of schools that suspend the curriculum during the final year of school, to focus purely on English and Maths. Children are encouraged to learn about the world around them through educational visits which develop character, put their collaborative and problem-solving skills to the test with their involvement in entrepreneurial pupil led initiatives such as the selling of Anti-Bullying bracelets and running of stalls at the PTA Christmas Fair, perfect their observation skills with fine pencil portraits, come together in song at our annual Christmas Carol Concert, or, even, run the daily mile during form time with the Headteacher. Here at Long Close, December marks the the end of long and busy Autumn Term. In the Senior School our Year 11 Pupils work hard to finalise their preparations for GCSE’s, Year 6’s celebrate their success in 11+ examinations, Reception children use their Spanish language skills through our new global links with our Cognita sister school, Colegios Pumahue, in Santiago Chile and new pupils and staff congratulate themselves on the end of their first term. What you will not see, is non-stop cramming and coaching; instead, you will see children who, together with the ongoing development of a growth mindset, approach the process with a sense of resilience and confidence, realism and composure. 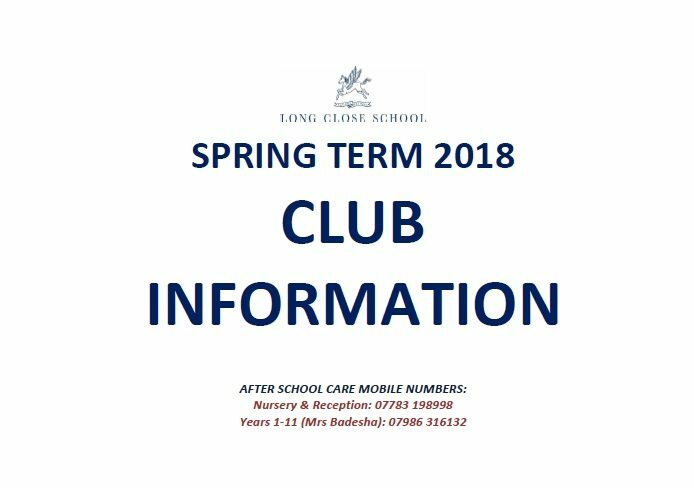 Based on the survey feedback we received from parents, pupils and staff, you will have received School Communication regarding our new Spring 2018 Clubs program. We believe that this program puts character development at the heart of our extra curricular offering and I wholeheartedly encourage all parents to take advantage of the wonderful array of activities run by our passionate staff and specialist external providers. At Long Close School we aim to look underneath the bonnet of the workings of the school to ensure that a good quality education – one that genuinely meets the wide-ranging needs of all our children – is not being compromised. On Tuesday the 21st of November, the under 9’s Hockey Team played against St. Bernard’s. The game started with great effort from Long Close School. Sivakami passed to Paramjot who made a great shot at the goal, but sadly missed it. By half-time, the score was still 0-0. In the second half, Long Close School felt strong with only five minutes to go. Paramjot passed to Fayha who made a great tackle and scored a goal. The score was 1-0 to Long Close School. Man of the match was Fayha. Well done girls, keep it up! The Christmas spirit arrived at Long Close today with the PTA Christmas Grotto and Fun Day. We hope those of you who managed to pay us a visit at the end of the day enjoyed a cake or a drink. If you weren’t able to visit we hope the children have already told you all about the fun they had! This year the school is participating in The Big PTA Raffle Christmas draw. This is a new initiative to help PTAs to raise money through a national raffle that provides great prizes for the lucky winners. If you haven’t picked up your tickets yet we will be selling these at the gates next week. Tickets are £1 each and available for sale at the gate on the following dates. 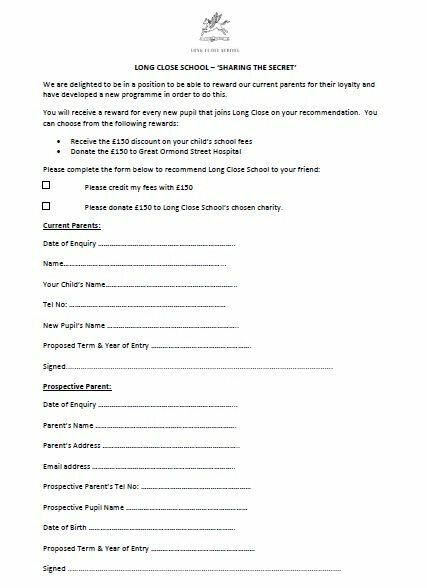 If you would like tickets and can’t make a gate sale, please approach any PTA committee member or email us at longcloseschoolpta@gmail.com. More details about the raffle can be found here www.ptaraffle.co.uk. N.B. Our school will receive 75% of all tickets sold, the rest goes to the charity that has developed the raffle to cover the cost of prizes, administration and licences.